AFRO-FUSION singer Mbeu, real name Ashton Nyahora, has distanced himself from the “toxic” fights in the Mtukudzi family, which have seen him being accused of trying to appropriate the birthright of the late national hero’s children. This follows Mbeu’s decision to lead the The Black Spirits, the late Dr Oliver “Tuku” Mtukudzi’s band, at the Cape Town Jazz Festival in South Africa last weekend, a role many believe should have been given to one or all of Dr Mtukudzi’s daughters. There is massive talent in the Mtukudzi family. Tuku’s daughter Selmor, for instance, is believed by many to be his natural heiress while Samantha, another daughter, performed with her father as a backing vocalist for three years. However, Tuku’s widow, Daisy, last weekend entrusted Mbeu not just with the lead role in The Black Spirits, but also gave him the late superstar’s guitar. This move angered many music followers particularly Tuku Music fans, who expected to see his popular and talented daughters leading the band and fulfilling their father’s shows. Criticism, particularly on social media, was targeted at both Daisy, the Mtukudzi family matriarch, and Mbeu, for their role in seemingly trying to deny Selmor and Sandra inheritance of their father’s legacy. Samantha was at the Cape Town Jazz festival show but merely as a backing vocalist. In an interview with The Sunday Mail Society, Mbeu denied inserting himself into the Mtukudzi family feud and trying to steal anyone’s inheritance, saying people had just misunderstood his position. “I am my own man. I am Mbeu and I lead my own band, Mhodzi Tribe. 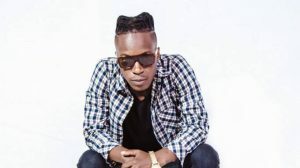 I have no interest whatsoever of abandoning my solo career or my band to join anyone,” declared the “Mavanga” hit-singer. “I grew up at Pakare Paye Arts Centre. I believe I am one of the centre’s products that have managed to stand on their own two feet. I know Mtukudzi’s music in and out, and have a good relationship with all the Mtukudzi family members. After Mdhara Tuku’s death, we did two shows with Selmor, here in Zimbabwe and in South Africa. ‘‘And when Walter (The Black Spirits manager) came asking me to assist at the Cape Town Jazz Festival show, I obliged. This means I have worked with both parties,” explained Mbeu. The young singer, who hails from Norton and was groomed at Pakare Paye Arts Centre, said he had no intention of picking sides. On how he got hold of Tuku’s guitar, Mbeu said on his acoustic guitar he plays steel strings while Tuku’s has nylon strings, which is why he had to settle for Tuku’s guitar to ensure the sound came out right. “It wasn’t even my decision. That guitar is scary man. The figure that thrilled millions of fans using that guitar is too big for me to even contemplate fitting into his shoes.